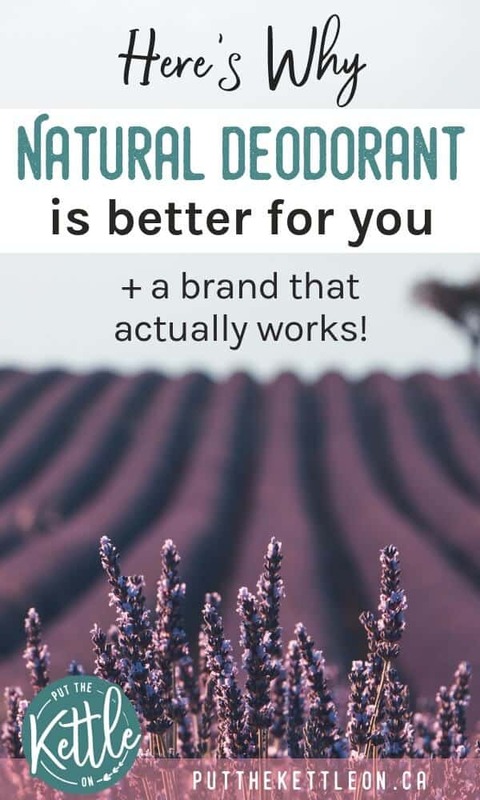 I have been trying different varieties of natural deodorant for years… and years, but I have honestly never found a natural deodorant that actually works… this is, until now! You may be wondering, why bother? The normal off the shelf brands work – why mess with that? This post is sponsored by Lafe’s Natural BodyCare, but of course, all opinions are my own. Lafe’s is a family owned, personal care company that believes in conscious living for a balanced & fulfilling life. Through their 1% Project, they donate 1% of the profit from every sale to support breast cancer prevention and environmental awareness. Most of you likely have heard how harmful regular deodorant and antiperspirant is. 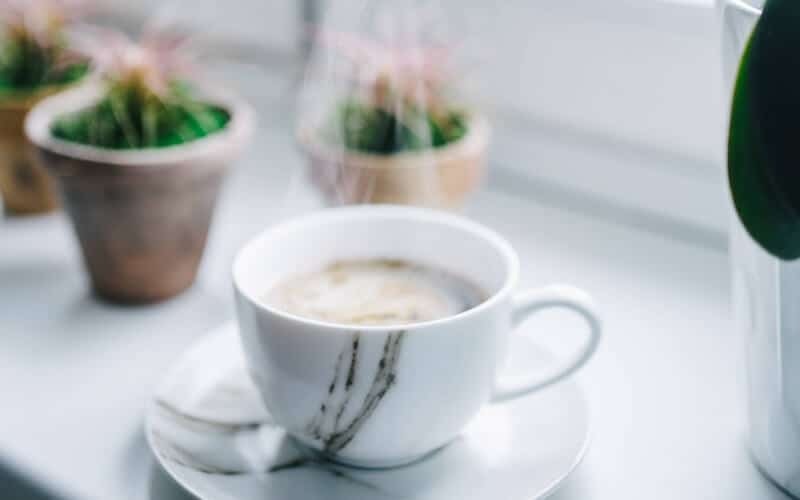 Let me share with you the unsavoury details which I hope will get you to consider looking into some healthier options. Why make the switch to a natural deodorant? 1. Regular deodorants and antiperspirants are full of toxic chemicals that can increase the risk of breast cancer. This is especially prevalent for those who shave their underarms and put on deodorant afterwards (most women). 2. Say goodbye to yellow underarm stains. That’s right! The aluminium in your antiperspirant combined with the proteins in your sweat can cause horrible, yellow stains in the underarms of your shirts. When you switch to natural deodorant this will go away. Healthier underarms and clothes that last longer – win, win! 3. Natural deodorants have health benefits, unlike regular deodorants that are harmful. Many natural deodorants are made with essential oils and other natural ingredients that are good for the skin. Less irritation. Natural deodorant doesn’t clog your pores so you are less likely to have bumps and razor burn, resulting in smoother underarms. Have you been looking for more natural ways to live, including the products you put on your skin? We can change many products around us, but what we put on our body should be a priority. This is where the deodorant and other body care and beauty products come into play. Lafe’s BodyCare kindly gifted me an amazing gift box worth $100! When I opened the box and found 15 deodorants, I couldn’t believe it! My first thought was, ‘Oh I hope they work, as I want to truly give an honest review’. I’m happy to say that to my surprise Lafe’s deodorants actually work! I say I’m surprised as I have NEVER had any luck with natural deodorants, so I am a very happy girl! Did I mention you can have a chance to win the $100 gift box?! Scroll to the bottom of the post for details on how you can enter the contest. 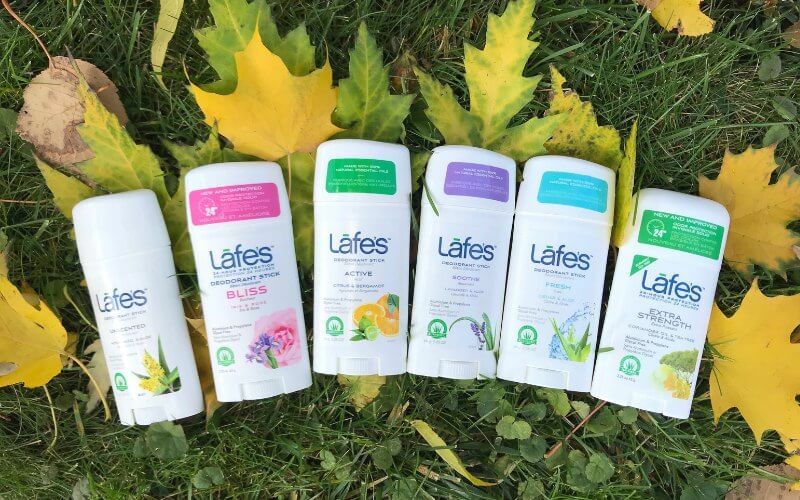 I’m going to walk you through the various types of deodorants Lafe’s Natural BodyCare offer and share my experience with them. Yes, I want you to know that I tried ALL of these deodorants! So I am giving you first-hand details on how they worked for me. Many of us in North America use twist sticks or ‘powder’ deodorants. 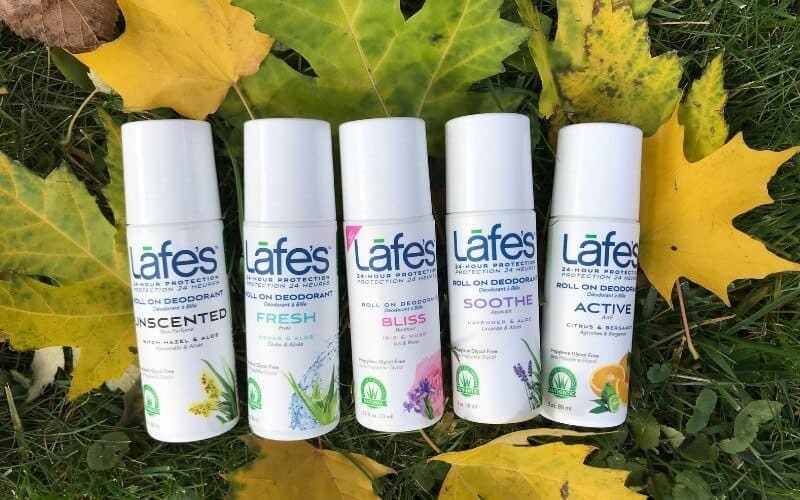 Lafe’s Twist stick natural deodorant isn’t much different from what you’d typically expect – except they are better for your health! They come in a variety of fragrances (from essential oils). My favourite is Fresh and Smooth. What’s cool is that some of these deodorants are invisible and there is even one that is unscented as well as an extra strength option. How they worked for me: I was pleasantly surprised at how well they all worked! I didn’t have to reapply and I smelled fresh even the next morning. I like the invisible solid options best, so I don’t need to worry about any white marks but I will still be using all of these! I used to live in the UK years ago and roll-on deodorants are what a lot of people use there. I really missed roll-ons once I moved back to Canada so I’m happy I can have a natural deodorant I love, but a roll-on too! How they worked for me: I’m in love! These are fantastic and work just as well, if not better than the twist sticks. These are my preference since I have always loved roll-on deodorants. I only needed to apply once a day. Tip: If you haven’t used a roll-on before… apply and let dry before you put your top on. You are then good to go for the day. 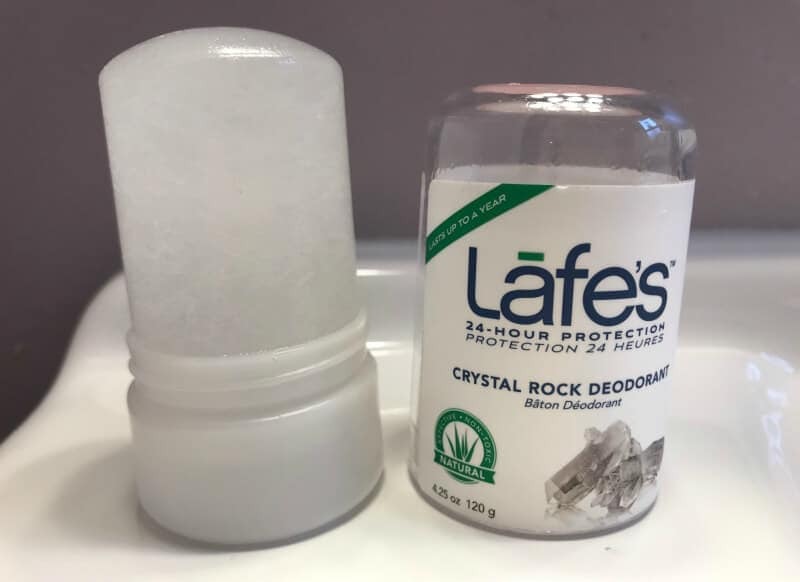 I have seen crystal rock deodorants before and honestly, had no idea what they were all about! They are made with natural mineral salts that eliminate odour causing bacteria. They also go on completely invisible and last up to a year! This sure is value for money. How it worked for me: The label says to put the crystal rock under water (pour from the tap) and then apply. It’s complete unscented and kept me dry and fresh all day long. I was really impressed with how it worked. For the Lafe’s Natural Deodorant Spray, I recommend this for the feet or even for your shoes! You can also apply under your arms. Your body needs to detox. Many recommend going deodorant free for a few days before trying natural deodorant. During this time your body will release the toxins from your regular deodorant. This is your choice! I didn’t do the non-deodorant thing and had no problem transitioning. Make the switch over a weekend. Wash your underarms 2 times a day (especially if you are going deodorant free). To help detox, drink lots of water and eat plenty of fresh leafy greens. Conclusion. 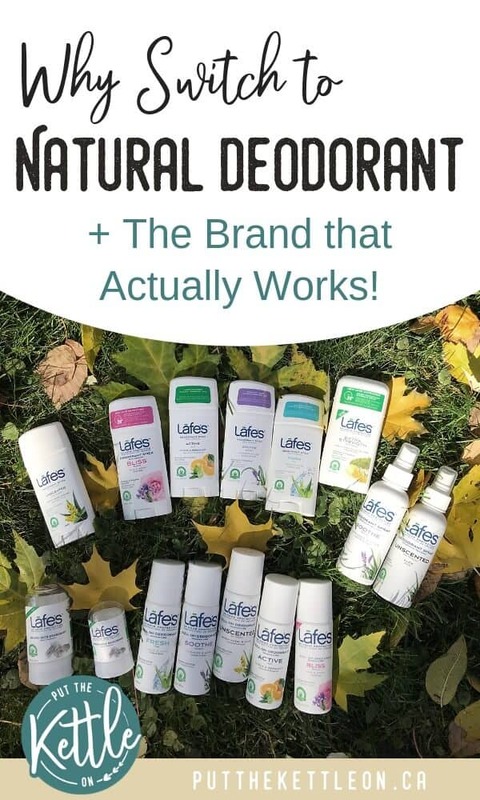 So, Do Lafe’s Natural Deodorant’s Work? 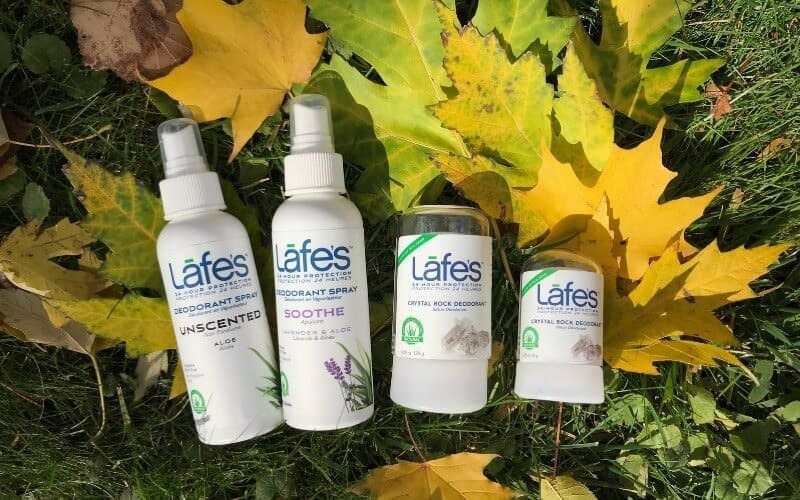 You can purchase Lafe’s Natural Deodorants online or check out the Lafe’s Store locator for a location near you. I’m excited to share that Lafe’s Natural BodyCare is offering one of my readers the full gift basket that I received, worth $100! This is very cool of you to promote! I always try to tell people to use natural deodorant, especially if you have a chronic illness like myself! Good information! Thanks Amylou 🙂 Absolutely. I can imagine when you have a chronic illness going all natural is a real priority. This is such a great post!! Thanks for all the information!! I’m like you! I’ve tried so many natural deodorants that just didn’t work. Even with bentonite clay armpit masks and all other detox helps. They just never seem to last or make my body odor worse. I’m curious to see if this brand will work. Thanks for sharing! Agree! I never felt confident going with natural deodorant but I am now 2 weeks in and I’m never going back to the toxic stuff! I’ve actually been on the market for a good NATURAL deodorant so this post came right on time! I’ll have to check it out and give it a try. These sound great! I, too, have been trying for years to find something that works well. Which is hard to do in the natural deodorant world. I entered the contest, but am excited to try this brand either way! Hey Candice! Yeah, it can be hard to find something that works, not to mention some other natural deodorants out there have a funky smell lol but these are really nice. Good luck with the contest! I’ve been using natural deodorant for years but I’ve never heard of this brand. I’ll have to check it out! I wish they had s place near me. I am really interested in this product. I guess I can order on line. So glad to know about this. Yes, you can definitely order online! Also, enter into the contest. The gift box is amazing!! I have been using a natural deodorant for about 7 months now and I can see the difference, no irritation, staining and all that stickiness of the regular deodorant. thanks for sharing. Excellent article, so far have only had luck with one brand of natural deodorant. Will have to give this brand a try. I haven’t heard of this brand! Definitely checking it out. I have been looking for a natural deodorant but have struggled to find ones that work. Yes, I have been waiting for a natural deodorant brand! Deoderant is normally the one thing I don’t go natural for because, well I don’t want to stink. But sign me up, I can’t wait to try it. Thanks for the post Girl! I have been wanting to try natural deodorant for a while now, but with so many options how does one choose? Thanks for the honest review and recommendation, I’ll be checking this brand out. Yes, I use natural deodorant, rock deodorant gotten in the Philippines! (It’s what my family uses there and so I tried it too) I’ll be honest, I always asked my mom to ‘smell’ me because I wasn’t sure if it was working or not because there is no scent, except for your own natural scent. She always said she couldn’t ‘smell’ me so I knew it was working. I love using it but it does take some time to get use to. Thanks for sharing Lafe’s products. I’ll definitely be looking into them! My husband and I were just talking about finding a natural deodorant! I’ve seen a few, but this is the first I’m hearing of this company! Looks great! They are family run, so smaller – but you can see how that makes a difference in the quality of the product. I tried to make the switch to natural this summer. I did a week of detox (a week at camp seemed like the perfect time to be smelly) and then started using natural. After about 3 weeks using natural (not including the detox week) I gave up on it and switched back to the bad ones because I was just done with smelling bad. My daughters have only ever used natural and it works great for them. I wish I had known what I know now before I started using deodorant but at least I can do better for my kids! One day I’ll try again. How many natural deodorants did you try? Different scents and varieties of natural deo work differently for everyone I think. If you did want to try again I couldn’t recommend Laffe’s enough. They are honestly the first that have ever worked for me. It is scary what you can find in “regular” deodorant. This seems like such a better choice! I’ve only found one natural deodorant that has worked for me. Would live to find others. I have never in my life used any kind of deodorant. Maybe I am just one of the few that never did, but this promo is just really nice and very informative. Will definitely introduce this to people I care about with body odor. Thank you! Hi Donna, You are lucky! Think of the money you have saved over time. Thanks for sharing this with anyone curious about going more natural! I will have to try this! I’ve been using natural deodorants for over a year now and have tried several brands including most recently Native. Native has a pleasant smell and works pretty good, but I still get sweaty and smell on really hot days (maybe that’s a given, though). It also leaves slight stains on my clothes but not as bad as with regular deodorant. Definitely, do! It’s always nice to give a smaller brand a try:) Lafe’s has some invisible sticks that leave no white marks, which I love. I have been using equate natural deodorant and I like it ! Before I was using Schmidt’s but it was irritating to my skin. I have to try this brand ! I haven’t heard of it but will be on the look out ! I am actually looking to switch. We have changed our lifestyle so much over the past few months, I am going to look into this one! thanks. I’ve been hearing a lot about natural deodorant lately and it definitely sounds like it’s worth the switch! Oh it truly is! Deodorant and all other products we put on our skin honestly. I have never heard of this product you did a great job in explaining what the company has to offer the consumer. You should! I am honestly so happy with the product and natural deodorants have never worked for me before. Makes me so sad when I see the list of toxins in our products! I haven’t tried this brand before, thank you for the recommendation. It really is sad. We have to be so careful as consumers – all of our personal care products are full of toxic chemicals, so going natural is always best. Too bad all big name brands didn’t focus on people’s health though, so even more reason to support the small companies. I too have tried several natural deodorants and sometimes find they either don’t last or irritate my armpits. I did find one in a spray that works but I’m not a super fan of the spray. I’m going to be trying the solid roll on- I have not heard of this brand before so thanks for sharing! I have tried so many natural deodorants and they all stop working. I will be trying this soon! Great Info!! I’ve never tried natural deodorant but i’ve heard terrifying things about regular store bought deodorant so I would be willing to give the natural stuff a try! Yeah, it’s pretty scary if you learn about all of the ingredients (aka chemicals). I think it’s really smart for everyone to transition to natural deodorant. I’ve been using Kiss My Face sport and have liked it but I would love to try something new! I have heard horror stories about using natural deodorant, but your review here makes me really curious on trying this one out. Also… Great Giveaway!! Good luck to everyone who entered! It’s SO GREAT that you discovered a great brand! I went through the long an agonizing search, too, but it’s SO worth it when you find one that works 🙂 I love the roller ball kind, too. Great review, Yolanda!